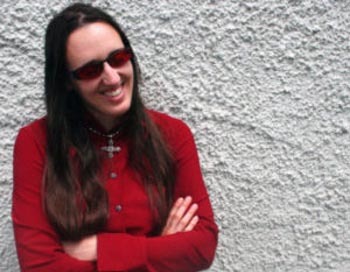 I’m Steff, a New York Times and USA Today bestselling author from Auckland, New Zealand. I have a rare genetic condition called achromatopsia. My eyes contain no cone cells, making me completely colour blind and legally blind. Growing up with a vision impairment, I was a victim of bullying in school. The experience of being shunned or hurt because I’m different shaped me as a person and an artist. The characters in books became my friends. Books were a place I could escape to when the world got tough, a place where I could be anyone I wanted to be. 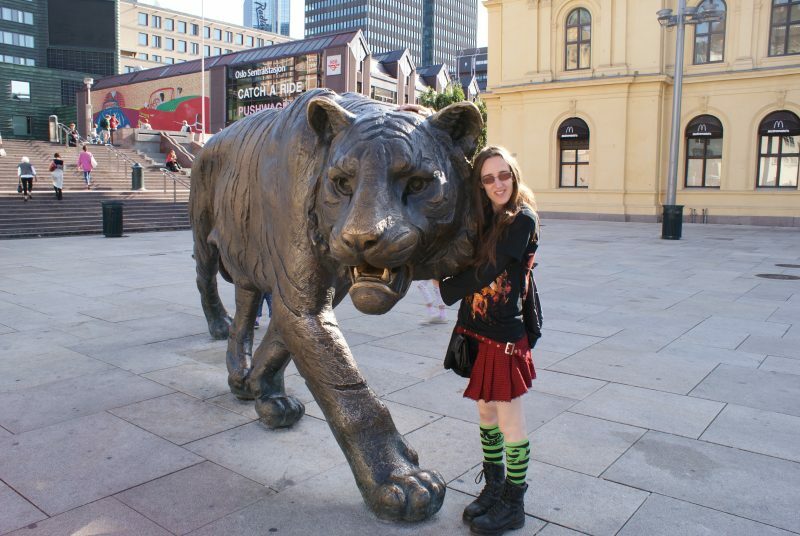 From 2002 to 2006, I attended the University of Auckland and received a BA (hons) in archaeology. For my entire life, I’ve been fascinated by ancient cultures and how stories and myths shape us as people. I worked on excavations and in artifact conservation in New Zealand, and explored ancient sites in England and Greece. However, finding work in the field with my eye condition was tough, and I was frequently overlooked for paid work in favour of sighted candidates. I became disheartened until my husband suggested I could pursue my other passion, writing – a profession that no one could tell me I couldn’t do. In 2007, I sent my first novel – a vampire epic – to a publisher, and received my first of many rejection letters. I didn’t give up and in 2014, after a publishing contract fell through, I self-published my first fantasy novel on Amazon under the name S. C. Green. Surprisingly, someone bought it. And then another person, and another … Before I knew it, I had thousands of readers clamouring for the next book. So I wrote the next book, and I kept on writing. And here we are. I love using dark, gothic and fantastical worlds to highlight issues that resonate with me, and use original concepts that encourage readers to view the world in a new way. Under my S. C. Green name. 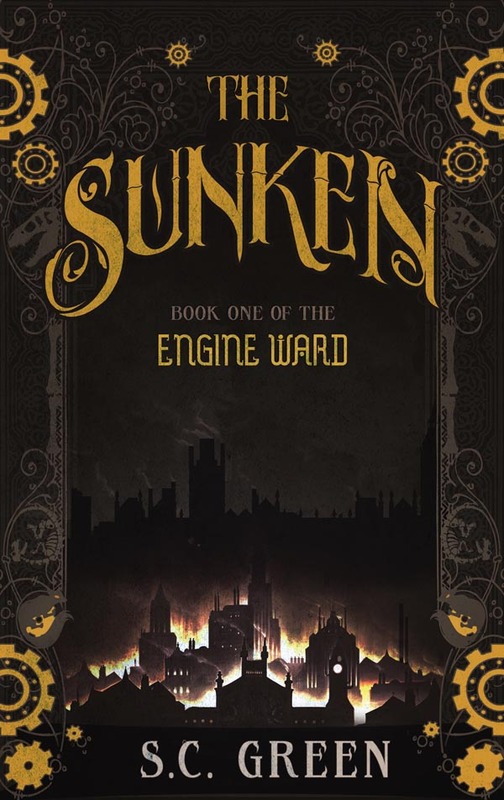 my steampunk dark fantasy novel, The Sunken, has been described by reviewers as “ … one of the most original books I’ve ever read” (I Heart Reading) and a book that “creates a world that’s like a cracked mirror version of our own history” (BookieMonster). 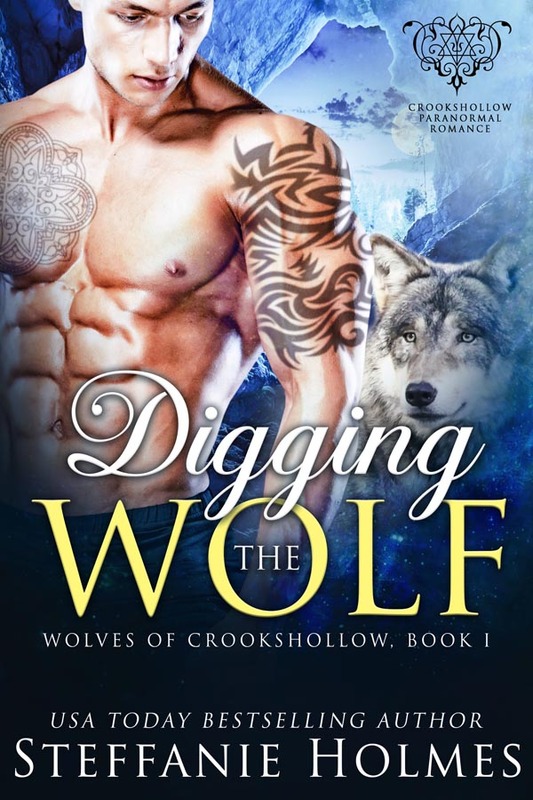 Under my romance pen name, Steffanie Holmes, I write stories of self-discovery through love. I don’t want to write heroes who swoop in and save heroines from their troubles. I want a story where both hero and heroine draw strength from each other to make positive changes in their own lives. I create deeply flawed characters who must sacrifice everything they thought they wanted or needed in order to do the right thing. Many of my books explore different forms of bullying and ostracism. I’m currently working on a children’s book to help kids of all backgrounds, cultures and abilities deal with bullying. More than anything, I want to be the weaver of the stories that shape a new generation of readers; that show readers like me that it’s okay to be different; and give much-needed escape when real life becomes too much. I’m a bestselling author of 20 novels, as well as several short stories and personal essays. I self-publish my work, selling thousands of copies every month. I was the 2017 recipient of the Attitude Award for Artistic Achievement. In 2011, I received the David Award for Heroes in Small Business for my blog Steff Metal. I’ve been nominated for both the TOR War of the Words and Sir Julius Vogel awards for my Engine Ward series. In 2016, an anthology I contributed to hit the New York Times and USA Today bestseller lists. I’ve appeared on Breakfast TV, RNZ and Attitude TV in New Zealand, and I’ve also been featured in NZ Women’s Weekly, The Spinoff, The Daily Mail UK, NZ Woman’s Day, That’s Life!, New Idea, NZ Herald, Rock n Roll Bride, AetherNZ, and Devolution Magazine. In 2018, I became a fulltime author, supporting myself entirely from my art. I’ll be writing several books a year across my two pen names (Stephanie Holmes and S.C. Green), as well as teaching creative writing, speaking about diversity and creativity in fiction, and mentoring writers across New Zealand. I’m open to exciting projects that challenge me to move into different genres or mediums. I've written an anti-bullying children's picture book called Only Freaks Turn Things Into Bones, illustrated by Bree Roldan. We were both victims of bullying from a young age and we are using crowdfunding platform Kickstarter to help us publish the book. The fundraising campaign runs until 30 June. You can visit the Kickstarter campaign for more information and to contribute. I also really enjoy getting up in front of an audience, so I’m hoping to do more speaking and teaching. One of my goals is to use my platform to advocate for diversity in fiction, and highlight the struggles and stories of groups that are often left out of mainstream media. I want all kinds of people to be able to read my books and see themselves in my stories. Writing is a solitary practice but I love to collaborate on unique projects. I’ve previously co-written a fantasy series with another author and a medieval craft book with a costume designer. I’m currently working with an illustrator on a gothic children’s book. I’m interested in fiction and multi-disciplinary projects with other artists or writers, including picture books, game design, interactive fiction, animation, and non-fiction works – especially if they feature elements of fantasy, horror or the gothic. I’d also love to hear from arts organisations or event co-ordinators who’d like a speaker at their conference or event. I speak with humour and passion about writing, storytelling, diversity, digital content, productive habits and making your dreams come true. I’d also be keen to hear from other writers who are looking for a mentor to help them push through the hurdles of this creative life. Original generation time 2.1644 seconds.